Surveillance is necessary to demonstrate area freedom in order to meet trading partner requirements, as well as to demonstrate successful pest eradication at the end of a nationally approved eradication campaign. 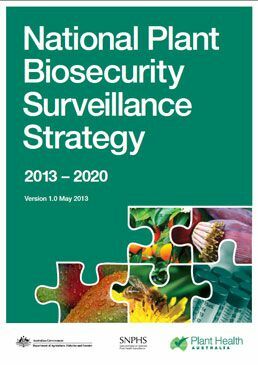 As a component of the National Plant Biosecurity Strategy, the National Plant Biosecurity Surveillence Strategy will also coordinate targeted surveillance arrangements to prioritise sentinel programs for the early detection of emergency plant pests. PHA has helped to develop surveillance strategies for the production nursery, citrus, apple & pear, forestry and cotton industries. PHA is also working with the grains industry to develop a nationally co-ordinated surveillance program which utilises the skills of industry extension staff.